30th Anniversary Tribute from our patron – taken from the 30th Anniversary Book (2008). In this year of the 30th anniversary of the classic I pass my congratulations and sincere thanks to Jack for the generous time and assistance he has provided to Junior Golf in this country. 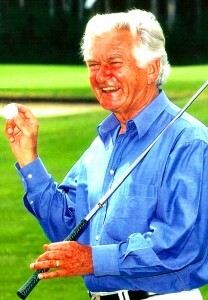 Over the thirty years in excess of $2 Million has been raised and through Jack’s foresight and dedication to his passion a number of junior golfers have developed into world class professional players. But even for those young players who have not achieved this level, they have benefited enormously from their involvement with the foundation.